Hey guys, have you ever spent any of your nights at the uncovered top floor or backyard of your house. If you have then this article will help know about all the things, you just observed out there in the space or even if you did not have this article will help you observe and understand all the miracles that happen in that huge space above us. You might have observed or will observe that the stars in the space are not all the same in brightness and color. Well, the brightness of a star depends on the combination of 2 reasons. The ACTUAL BRIGHTNESS - Actual brightness of a star refers to the magnitude of real brightness that, that particular star have.You can think of that as energy.Different stars have different levels of energy(brightness).The star with more energy will be the brightest while the star with less energy will be less bright than other. Magnitude scale- the ancient Greek astronomer HIPPARCHUS in the medieval times introduced a system to rank the stars according to their to brightness levels. (might be he was so bored that he did not have any other productive work to do.But, believe me, this helped a lot, you will be pleased to know that this system is still used.) this system followed a procedure of giving ranks or magnitude to stars on the basis of their brightness levels for example- the magnitude of 1st was given to the brightest star seen at that time while 6th was given to the most fainter or so. 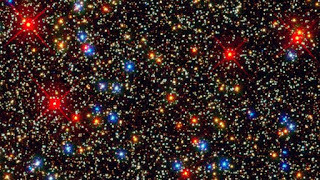 FUN FACT - The faintest stars ever seen had a magnitude of 31. 2. The DISTANCE OF THE STAR FROM EARTH -Actually, how brighter a star will look to you also depends on the distance of the star from earth. Well, all stars are not equally distanced from earth hence it effects their brightness and visibility.The stars that are more distanced from earth looks fainter as compared to the stars that are closer to earth. Remember that I stated combination before I introduced you to these two following reasons that were because of a purpose.Actually, most of the stars that are visible to us are either more luminous but are distanced at considerable magnitude while some of them which are less brighter are nearer to the earth as compared to others. In this way, most of the stars get visible to us. Different stars have different colours on the basis of their SURFACE TEMPERATURE. 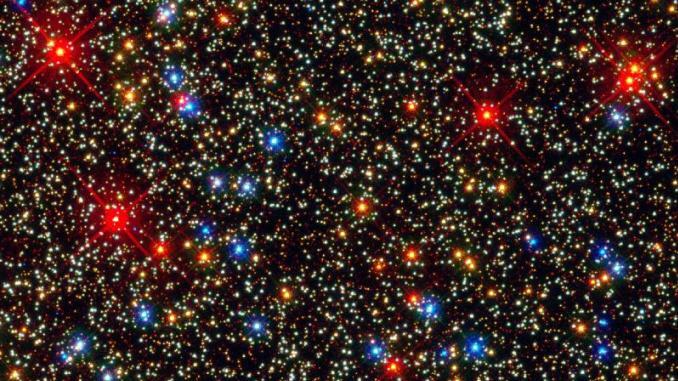 for example - STAR ARCTURUS is RED in color. STAR CAPELLA is YELLOW in color. while STAR VEGA is BLUE in color and this goes so on. Now you might be thinking why wasn't they appeared to you as the real color they actually have.That have a reason, the color receptors in your eye are not very light sensitive .The brightest star can only be signified by them. All the stars up in the space are not equally scattered. Most of the stars appear at different positions in all directions. Now when ancient Greek astronomers looked at these various scattered stars all together as a group they thought that these group of stars made some shape or patterns which resembled certain daily-life objects and hence those astronomers divided the space into different constellations. 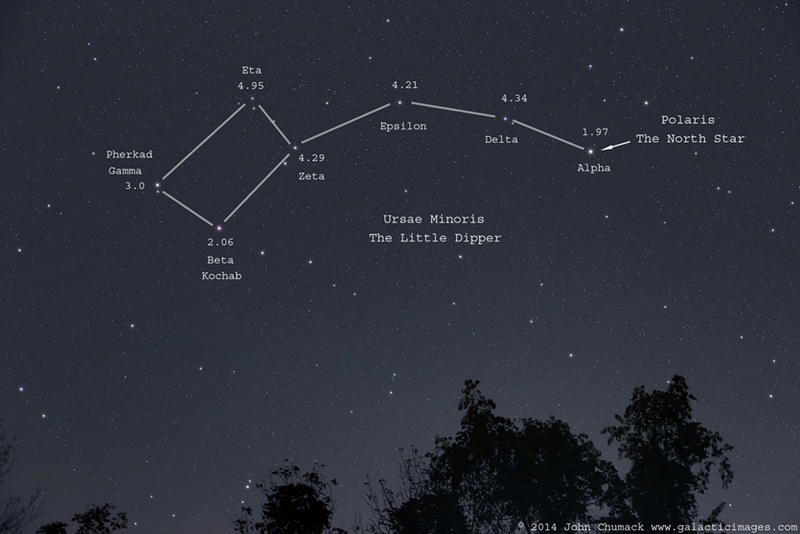 And, then named those constellations after those familiar objects that those group of stars resembled. 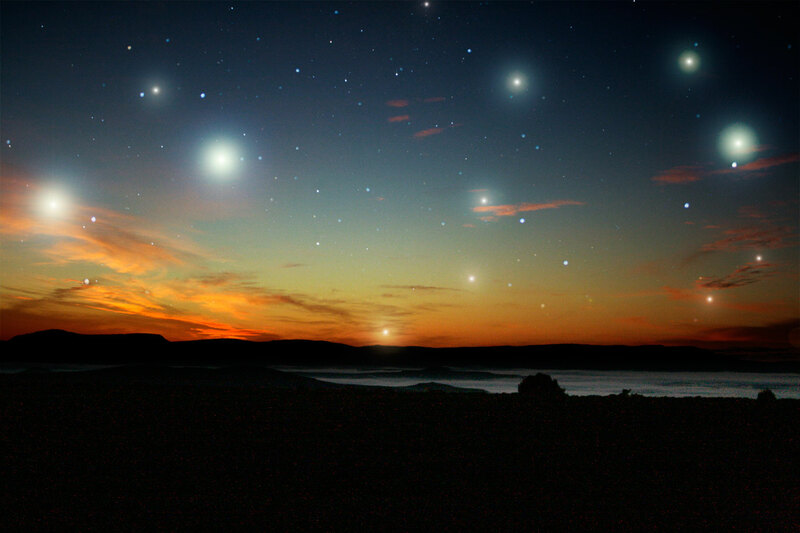 The international Astronomical union officially recognized 88 modern constellations, which covered the entire sky. 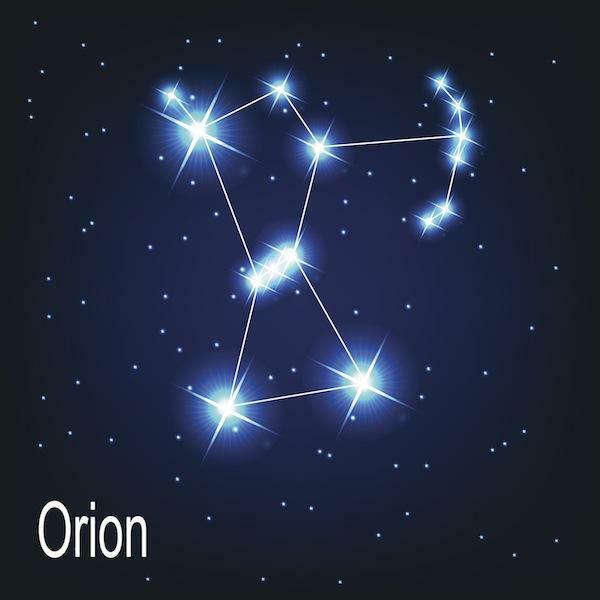 FUN FACT - ORION is the most famous constellation which indicates a person with his hands raised. They may be a small pattern or group of stars that are observed in the night sky. They do not form constellations instead they may include stars that are a part of an official constellation. It can include stars from more than one constellation. most of them retain proper names which are mostly Arabic. 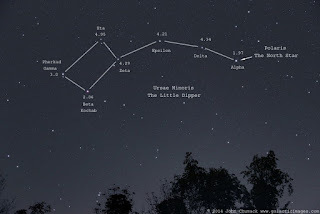 for example - Little dipper is an asterisms of the constellation Ursa Minor which have around seven stars while 6 of them namely are - Polaris,Kochab, Pherkhad,Yildun,Ahfa Al Farkadian and Anwar al farkadain. Hence we can conclude that all groups of stars out there may not be forming constellations but they may be a part of it; asterisms. Another thing we can mention out there is that some stars out there in that huge space doesn't twinkle while some really do.This is because those things which don't twinkle are not really or actually stars they are planets. Well, twinkling happens because the air which is just above us is very unsettled and it blows from one side to other, due to which the light coming from stars distorts and make them appear like changing positions or brightness levels considerable times per second. But the planets are enough close to the earth and also have a considerable amount of brightness therefore the air does not effect them much. FUN FACT- There are 5 naked eye planets (excluding earth) - Mars, Venus, Jupiter, Saturn and Mercury. scrolling down in search of something incredible(i assure you will find above only) that our country is terribly suffering from LIGHT POLLUTION which means that in most of the country the street lamps or any other outdoor lightening isn't arranged in a proper way means most of the lightening is scattered in the sky rather than focusing downward. 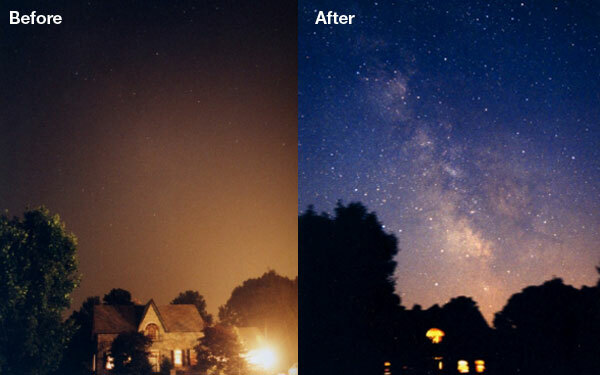 This causes blur sky and hence makes it difficult for the astronomers to use the telescope and hardens observations for research purposes.Therefore even research centres are assembled in areas near forests where light pollution is as much as nothing. Hence its a responsibility of all of us to ensure that our surroundings maintain a proper lightening system, where all the lights are strictly focused towards the ground. In this way, we will encourage our astronomers to expand their research centres and can increase our probability of having a chance to see it all happen by our own eyes. Many cities, states and even countries have been successful in installing a proper lightening system. hence, here we come to an end. hope you liked our content and it might have provided you with some vital information. keep up for more awesome astronomical stuff and other too. Don't forget to present your precious views on the topic in the comment section down below.